Based in Hurstbourne Tarrant, between Newbury and Andover. To place an order please call or fill in the order form. We will phone you back to confirm your order and make arrangements for delivery. Log Delivery in Hampshire, Berkshire & Wiltshire including Andover, Newbury, Basingstoke and Winchester. Frank Haighton Logs offers the delivery of quality logs, firewood and seasoned wood in the Hampshire, Berkshire & Wiltshire. 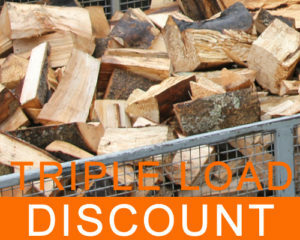 We pride ourselves on our professional log delivery service, and our wide delivery area, enabling as many people as possible access to quality seasoned logs and firewood, with reliable and prompt suppliers.